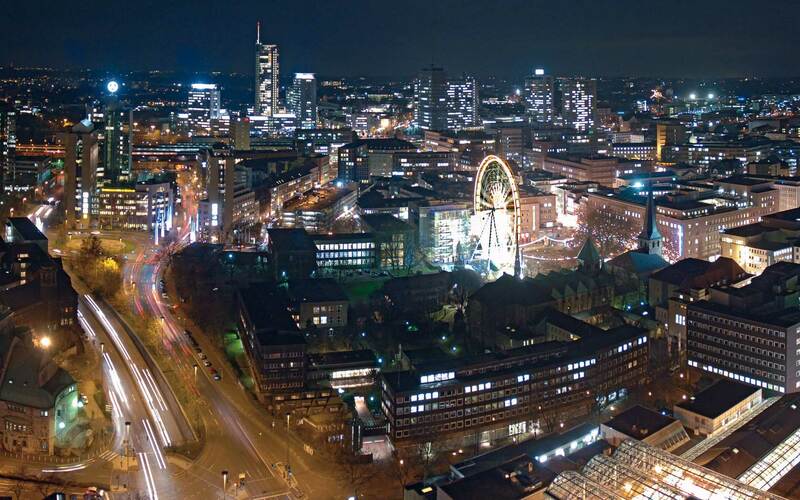 Whether you are committing yourself as an investor in Essen, would like to establish a business in this location or have already settled here, the Essen Econom­ic Development Agency, EWG (Essener Wirtschaftsförderungsgesellschaft mbH), is able to provide you with customized support – free of charge. EWG is organized as a public-private partnership: Be­­sides the city of Essen, the economic syndicate of Essen, IEW (Interessen­ge­meinschaft Essener Wirtschaft e.V. ), com­­prising more than 50 significant companies, has a 50-per-cent share in the partnership. The partner-like and efficient cooperation between the private and public sectors provides quick and professional solutions to all economic issues and is characteristic of the diversified range of services offered by EWG. Those include supplying important economic and structural data, giving location-related advice, arranging for suitable office premises or commercial property, and providing guidance with start-ups, funding and public authorities. Moreover, the industry experts at EWG coordinate innovation projects and initiate targeted actions aimed at setting up or expanding clusters and networks. EWG supports entrepreneurial commitment in Essen, the strong and attractive economic location in the midst of the conurbation by the name of Ruhr Metropolis.